University of Toronto Press, 9780802094568, 297pp. In 1918 the Spanish flu epidemic swept the world and killed an estimated 20 to 40 million people in just one year, more than the number that died during the four years of the First World War. To this day medical science has been at a loss to explain the Spanish flu's origin. 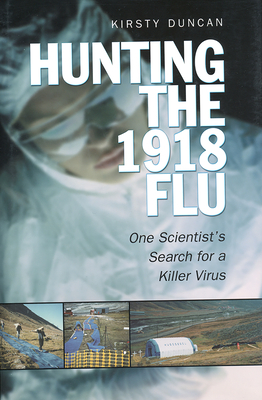 Most virologists are convinced that sooner or later a similarly deadly flu virus will return with a vengeance; thus anything we can learn from the 1918 flu may save lives in a new epidemic. Duncan raises questions not only about public health, epidemiology, the ethics of science, and the rights of subjects, but also about the role of age, gender, and privilege in science. While her search for the virus has shown promising results, it has also revealed the dangers of science itself being subsumed in the rush for personal acclaim.